Although earthworms are generally beneficial to your lawn, sometimes their populations can get out of control. You will then see mounds in your lawn where they enter and exit the ground. 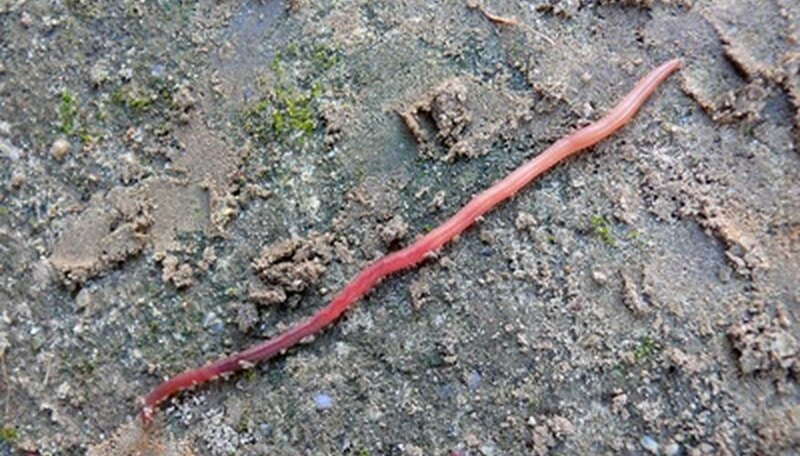 Earthworms can be controlled by use of carbamate compounds. Sevin, Turcam and Baygon are a few insecticides that contain carbamate compounds. To keep the population down you'll have to apply the insecticide two to four times per year, but not more often than once every seven days. Identify that earthworms are causing the problems in your lawn. Look for earthworm castings on top of the lawn. Look for little mounds of soil on top of the lawn, which may or may not have a hole in the middle. Purchase a pesticide that has carbaryl as an active ingredient. Carbaryl is very toxic to earthworms; Sevin is a pesticide that contains carbaryl. Apply the pesticide at the recommended rate for grubs, which is also suitable for earthworms. Apply 4 to 8 lbs. of active ingredient per acre. Reapply the pesticide up to two to four times each season to keep the earthworms under control. Collect grass clippings. Earthworms utilize grass clippings for food, so removing them will cause the earthworms to seek food elsewhere. Keep fertilizing your lawn appropriately. With a lower supply of earthworms, your lawn's supply of nutrients will be lower. Most lawn grasses require 2 to 3 lbs. of nitrogen per 1,000 square feet. Wear safety goggles and gloves when handling any pesticide. They should not come in contact with the eyes or skin. University of Wisconsin-Madison: Earthworms: Beneficials or Pests?